Welcome to 296 Crooked Street! 296 Crooked Street is a beautiful 2 story home built in 2008 with nearly 3,000 square feet of living space, and 4 bedrooms (possibly 5)! 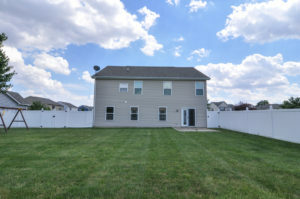 As you drive up to the home you’ll notice the subtle landscaping, 2-car attached garage, front patio, and large side yard since this home is on a corner lot. 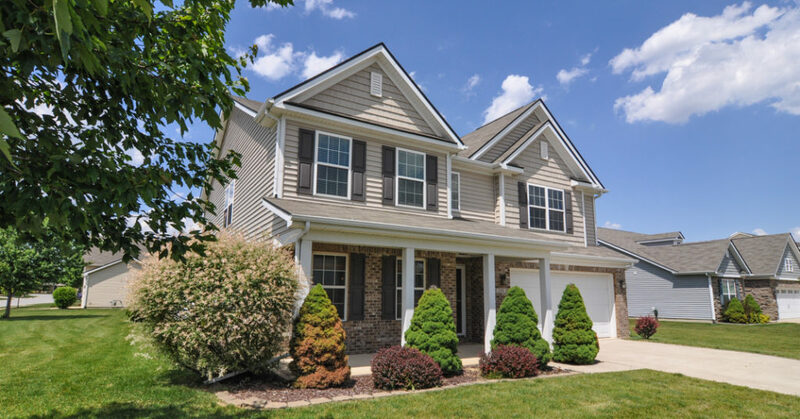 The patio is perfect for seeing the kiddos off to school or chatting with your neighbors about the next neighborhood block party in Butler Meadows! Who doesn’t love a big side yard, in addition to a large backyard? 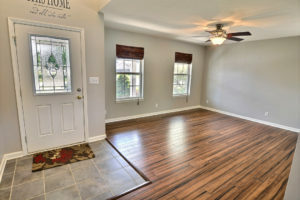 Upon entering 296 Crooked Street you’ll immediately notice the gorgeous bamboo flooring, open dining/living concept, and fresh paint! 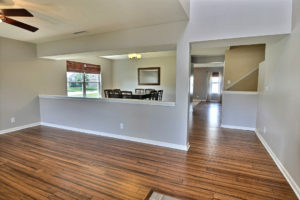 From there you’ll walk into the open concept kitchen/living area, a great space for entertaining! The formal dining area is still open to the living room and kitchen, making dinner set-up quick and easy. This openness and flow of this entire first floor makes entertaining and throwing parties seamless so guests can easily transition from one room to the next. The kitchen has stainless steel appliances, a breakfast bar, and space for a kitchen table. There’s also a den downstairs, which can be used as an additional bedroom or in-home office space, as well as a half bathroom. 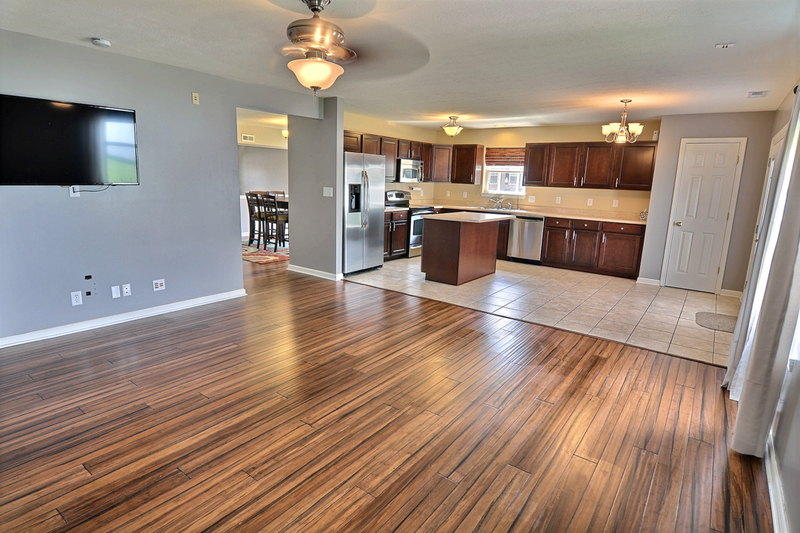 From the kitchen you can step-out onto the patio and into the large fenced-in backyard! Here you can easily grill out and enjoy dinner outback or in the kitchen. 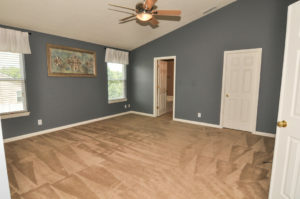 This is also a great spot for entertaining guests, throwing birthday parties or simply enjoy a glass of wine after a long week.The kiddos or dog will have plenty of room to run around and play. You can rest easy knowing the privacy fence is there to contain them. 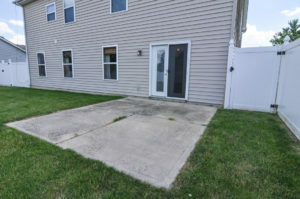 This space is primed and ready to be turned into your backyard oasis! 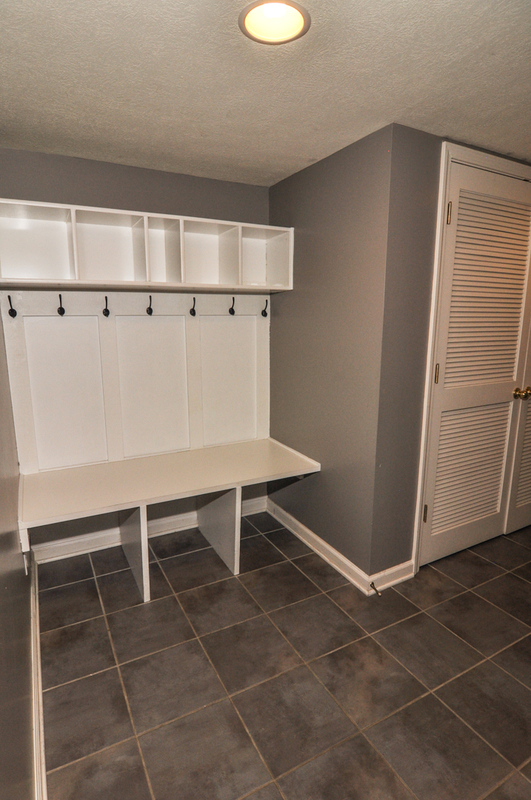 On the 2nd floor of 296 Crooked Street you’ll find 4 bedrooms, 2 bathrooms, AND the laundry room, which will making doing laundry so much less of a hassle. 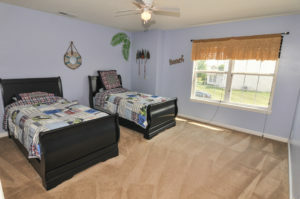 The master bedroom has an en suite bathroom, equipped with standing shower, soaking tub, walk-in closets, and a double vanity. The master also has an en suite room that could be used as a nursery, office space, workout room or even your own craft space. The options are endless! Not to mention the loft space! 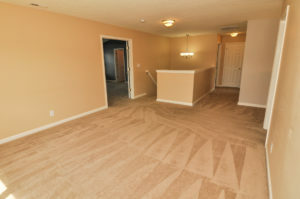 For the current home owners, this space was a huge selling point. With 3 young kids the loft proved to be a great family space for movie and game nights, and play dates, an out-of-the-way rec room. 296 Crooked St. isn’t far from Wea Park where kiddos can participate in summer baseball leagues and make new friends! A perk of living south of Lafayette is the lack of city traffic you’ll experience. You can enjoy urban life without being too far removed from the city! If you like traveling, you’re only 60 miles from Lucas Oil, the Indianapolis Zoo and White River State Park!